Preliminary FY2018 market figures from the Bulgarian FSA show that local insurers ended the year with a 16% y-o-y GWP growth-rate, to BGN 2.52 billion (EUR 1.29 billion), while aggregate value of net profit increased by 29.42% y-o-y, to BGN 118.12 million (~ EUR 60.40 million). 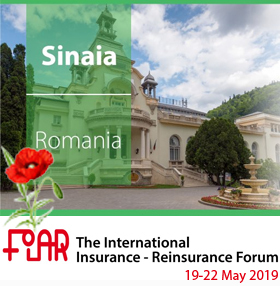 "In 2018, the Romanian insurance market improved its solvency indicators", Cristian ROSU, Vice-President Insurance and Reinsurance Sector, ASF - The Financial Supervision Authority declared on Tuesday, 21 March, commenting on the financial results reported on the Romanian market last year. Applying the Estonian model for profit taxation (insurance companies will not be subject to income tax on reinvested profits) will boost development and growth, according to the General director of GPI Holding, Paata LOMIDZE, reported Caucasus Business Week. In March 2019, FITCH Ratings affirmed Ukraine's Long-Term Foreign-Currency Issuer Default Rating (IDR) at 'B-' with a stable outlook, according to the agency's official report. UNIQA Group wants to completely withdraw its capital market investments related to coal industry. UNIQA Austria states that at the end of January 2019, its investment portfolio was already coal-free. Hanoover-based insurer TALANX reported impressive FY2018 results, despite heavy Q4 Nat Cat losses, as the company reported in a statement. 10 years after its inception, the Romanian mandatory dwelling insurance system has progressed and PAID, the pool underwriting and managing the mandatory policies is a strong and financially sound institution. 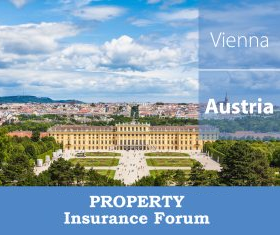 "We are currently managing a reinsurance program worth EUR 920 million, with a pool of excellent reinsurers, more than half of them rated AA+, while the company's solvency rate is of 220%," recently stated Nicoleta RADU, CEO, PAID. One of the most anticipated events of 2019 in the Kyrgyz insurance market is the introduction of compulsory insurance for civil liability of vehicle owners, or MTPL. A relevant law for the Kyrgyz Republic was adopted in 2015, and its introduction was expected in 2016. However, the introduction was postponed to 2019 due to social discontent, decline of living standards and general economic slowdown in the country. 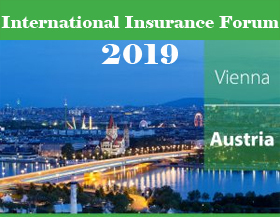 As for our company, we are planning to become one of the most dynamic players in the insurance market in terms of implementing new technologies, considering that they will be the main growth driver in the coming years.